Personal mission: To make a difference. What can I share about me that will help you get to know me and not bore you to death? Most important is my family. My husband and I sent our son off to college last fall, and now we enjoy our empty nest. 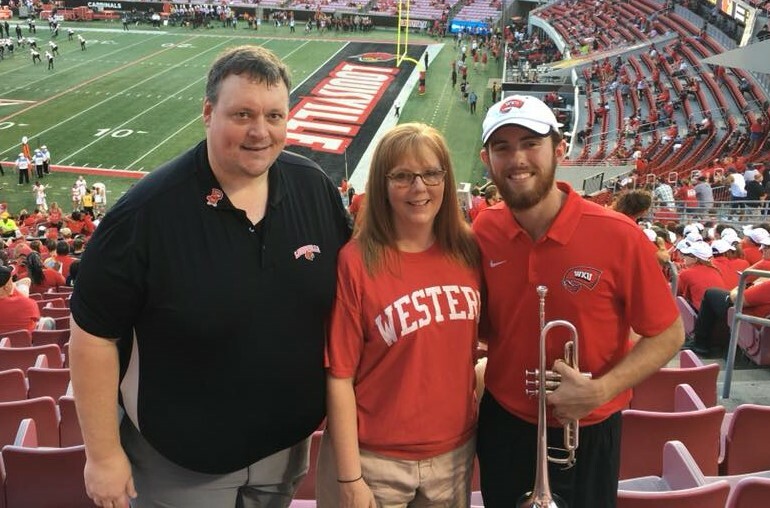 Cole is studying music education at Western Kentucky University, and I am picking up projects that I put aside to enjoy raising him. Jay and I have a wonderful marriage, and after 11 years, still go out on dates (he, of course, has to call and ask me out first). Other important things to know about me is that I have a strong and growing faith in God, and I believe in being productive every day. And finally, one talent I’ve been blessed with (probably by virtue of slogging through a lot of chaos) is that I can create order from chaos. I’m not obsessive about order, but I do love it. Living to make a difference, I believe in getting involved in things that matter and places where your talents can be used. Over the years, I’ve volunteered at our church, in the community with single mothers, and with arts organizations such as Kentucky Shakespeare. Below are a couple of the other organizations I’ve been involved with. My favorite season is spring; that first morning when you step out and it smells of the winter’s thaw. I absolutely love thunderstorms; they remind me of God’s power and majesty. I work in an office all week and enjoy mowing on the weekend; getting my hands dirty. I wear long pants, not ankle length, or crop pants. I like long or short sleeves, not three-quarter length. I don’t like to wait longer than 20 minutes to be seated at a restaurant.